When it comes to converting seedlings into a successful harvest, there are numerous considerations that can determine a plant’s health and impact its overall grow-time. But there’s one crucial element that must be made from the outset for cannabis crops, and cannabis businesses, to truly flourish – establishing themselves in the right facility environment. 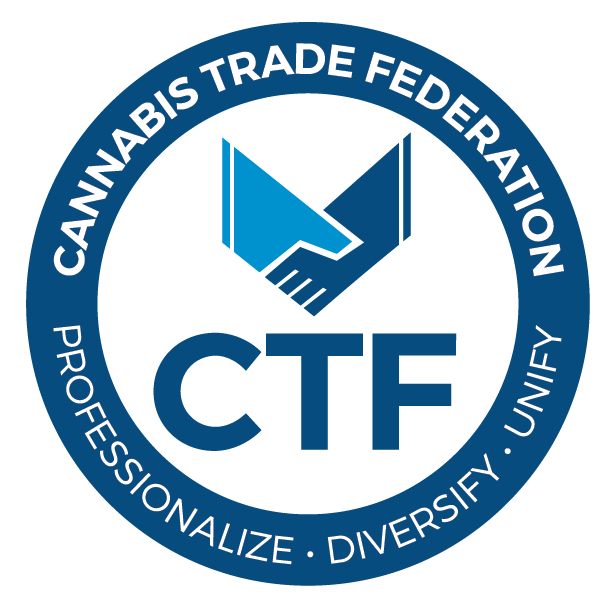 With legalization in Canada set for July of next year, we know that producers in both the United States and Canada are working to rapidly scale up their operations to capitalize on and meet an imminent rise in product demand. To do so, and still maintain Good Manufacturing Practices (GMP) and meet the yet to be determined clean crop standards set by Health Canada, cannabis companies will need to develop high-production, industrial-level grow facilities that take cues from the pharmaceutical and research industries. While there’s no solution in place (yet) that can make seedlings mature any faster, there is a way that cannabis companies can firmly establish their operations within the best, most high producing, and environmentally friendly facility environments. This step alone can save producers innumerous costs both in terms of initial facility start up investment and throughout their ongoing operations. The manufacturing needs of cannabis companies are often compared to those of the pharmaceuticals industry – and rightly so. Both big cannabis and big pharma companies seek to replicate their product in mass quantities, under short turnaround times, while ensuring quality standards can be replicated across each and every product for safe end-consumption by consumers. And like big pharma companies, cannabis producers need well-designed and adaptable facilities that can effectively control the flows of both people and materials. It’s no secret that empty warehouse, industrial spaces, and even existing greenhouse structures in legalized U.S. marijuana states like Colorado are being snapped up in a flurry of real estate acquisitions. But the fact is there’s a lot more involved in the process of starting a high-production indoor cannabis grow facility than simply bringing in grow containers, a watering system and high-intensity discharge (HID) lights. Tasked with ensuring proper dehumidification, preventing cross-contamination and safeguarding product safety, industrial-level cannabis facilities come with a very distinct set of challenges, including their intense energy requirements. In those states where new cannabis production facilities have revitalized vacant industrial areas, the marijuana industry’s voracious energy consumption has also led to sharp spikes in utility usage. According to a 2016 article in The Guardian, indoor marijuana operations account for roughly half of Colorado’s new powers demands, and for 1 percent of total electricity use in the United States. But not only are these high consumption rates environmentally unsustainable, they’re also economically taxing for producers. It’s estimated that utilities make up 20 percent of an operation’s total expenses, costing producers a grand sum of $6 billion every year across the US. This is a key learning for new Canadian and U.S. entrants alike. Despite massive energy costs, cannabis growers are slow to adopt new practices, believing such shifts could come with their own set of hefty price tags. Retrofitting existing infrastructure in older, out-dated industrial spaces can be expensive. If not done correctly from the get go, difficulties like humidification or respiration issues can only compound. We now know that even the slightest shift in conditions can impact an entire crop; with crop outcomes and thousands of dollars of product hanging in the balance, producers already in operation are understandably hesitant to experiment and change what works for them. But in the face of a rapidly evolving industry, there is a way that cannabis facilities can literally set up for success, whether they are expanding into a brand-new space or retrofitting existing buildings. For grow-ops to develop into safe, commercial-level operations, facilities will need to become more lab-like, taking cues from settings that are increasingly controlled and segregated. This is a sure-fire way to protect crops from being harmed by pests, humidity, cross contamination and other potential threats. In addition, better conditions lead to the ability to replicate standards across an entire crop or specialized strain. Much like traditional pharma or lab research environments, marijuana facilities could also benefit from adopting innovative architectural solutions to manage their utility needs both now and in the future. Retaining outdated utility strategies can actually constrict a facility’s configuration and therefore, its overall floor plan and flow. One approach to this problem has been to emphasize utility design strategies that have streamlined and flexible infrastructure, allowing indoor facilities to easily reconfigure as their needs change over time. As utilities feed more easily into an indoor grow environment when they are placed on the same floor (and not above), cannabis producers could expect to see lowered energy usage, customized ventilation needs met, and reduced construction costs if future expansions are needed. In this budding industry, as licensed Canadian producers and U.S. cannabis companies are hoping to enter into the legal recreational market prepare for the ‘post-prohibition’ era, innovative and design-forward facility thinking will prove essential for businesses that need to adapt fast. Because, in the rapidly maturing cannabis industry, only one thing’s for certain: the firms that are able to grow in pace, and maintain clean, consumer-safe crops, are the ones who will be able to reap the most recreational rewards. By taking cues from well-designed pharma and lab facilities, producers could build the cost-effective, energy efficient and high producing infrastructure they need to ramp up and sustain operations right from the outset.